I’ve always worked hard to enjoy the finer things in life.. like dining out and being able to to try new foods that you wouldn’t normally eat at home. You can say I like to explore the world with my mouth! You have to take a bite out of Life and live, eat, and sleep like a King. Anthony Bourdain is a American chef, author, and television personality on the show “No Reservation” on the Travel Channel and I love watching him because he inspires me to be more adventurous There are so many different cultures and variety of dishes and and the possible of food menu is endless. 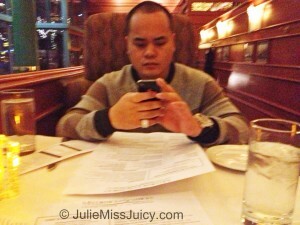 It was a romantic weekend because my Man just got back from his Business Conference down in Las Vegas and I wanted to surprise him with a nice sit down dinner for just the two of us… I called and got us a table with a nice view. There’s not a moment where he’s not mobile grinding. 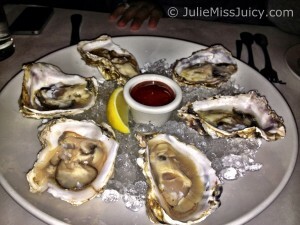 These were the biggest Buckley Oysters on a 1/2 shell I had in awhile. They were fresh and tasted like the ocean. I like mine with some horse radish and a couple dashes of Tabasco hot sauce for more flavor. I never knew how to eat these until I met Philly and now I can eat like a professional. 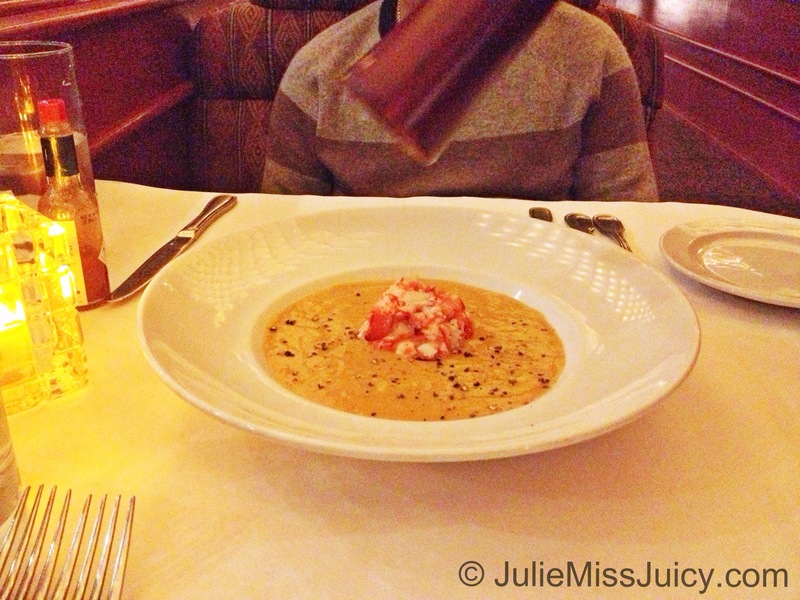 Lobster Bisque Soup with Fresh Peppers. This taste is absolutely amazing in my mouth! 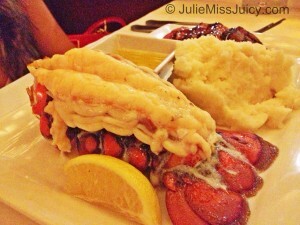 Every bite was full of Lobster and my favorite was the bottom layer of bread crumbs that gives it a crispy texture. It’s rich in flavor and I almost got full with this dish alone. 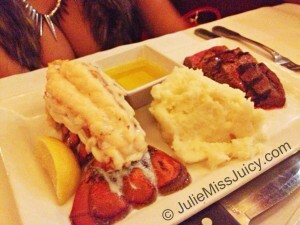 For the main course we order Dungeon Crab and Lobster Tail and Filet Mignon to share and I was beyond FULL! 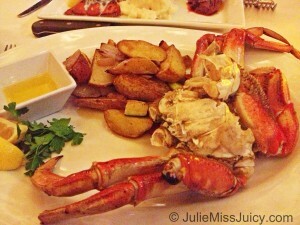 I was in complete food heaven and I didn’t even have any room for dessert. 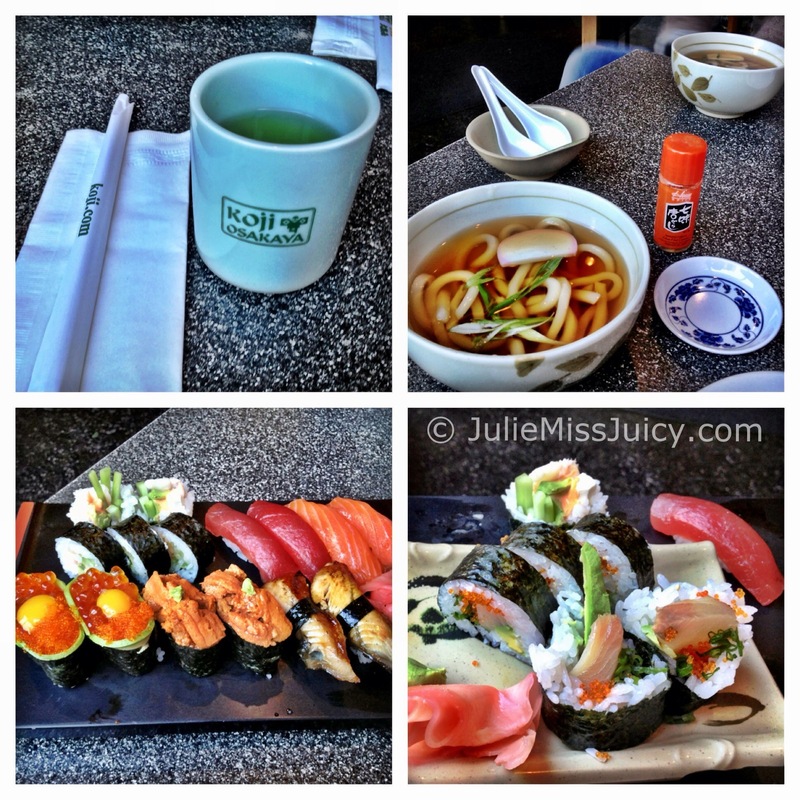 On monday we went to lunch at Koji Osakaya downtown on Broadway and it was delicious! Started off with some soothing Hot Green Tea and warm Udon noodles as an appetizer. We order the House 3 Egg (Salmon Flying Fish and Quail with Avocado , Uni (Fresh Sea Urchin), Unagi (eel), “Malibu Roll “, Tuna, and Salmon and the “Rainy Days Roll”. 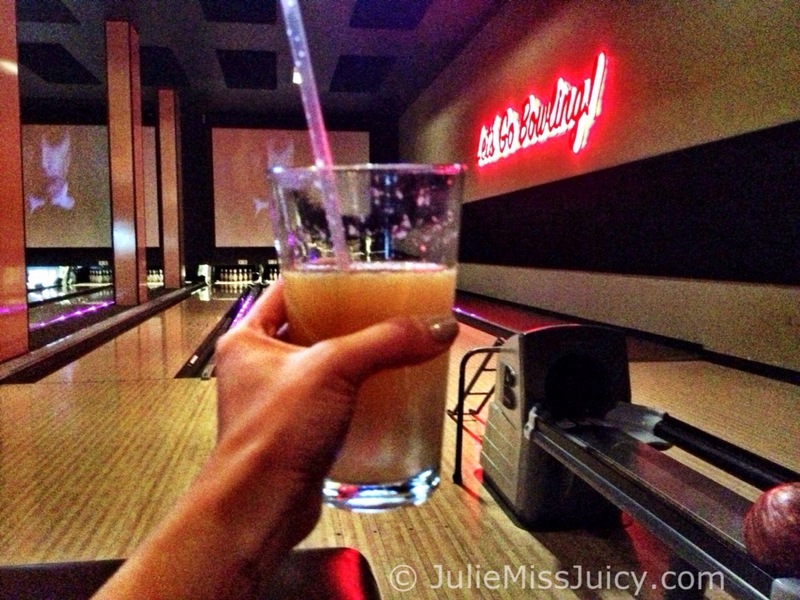 Another great thing to do for a low key fun night out is to go Bowling. 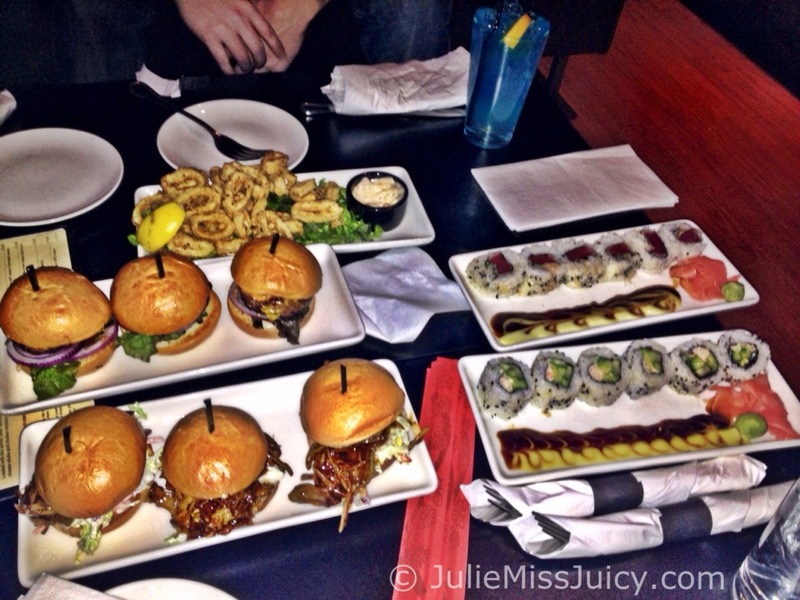 I’m a horrible bowler but I do love to eat and drink! 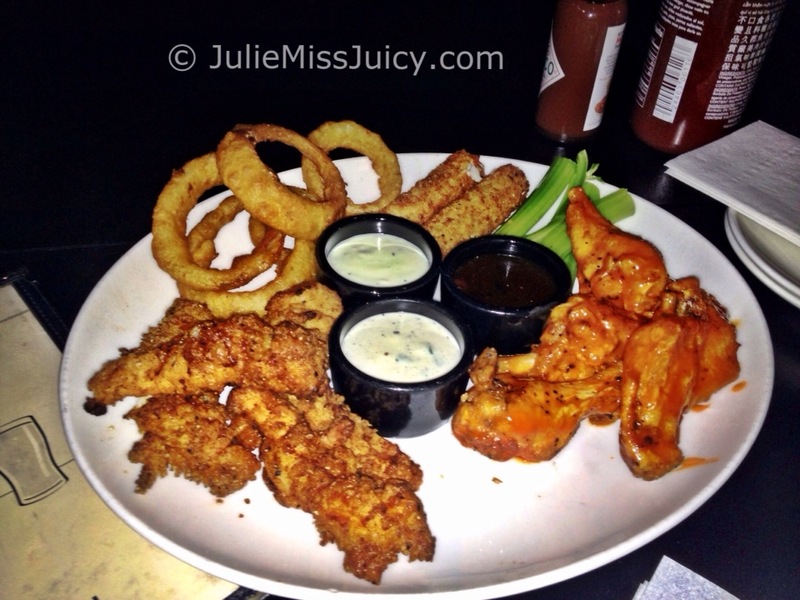 We started off with the Grand Central Appetizer Platter it came with Onion Rings, Cheese Mozzarella, Chicken Wings, and Chicken Tenders. I was in last place and I think I only average about 75 points per game.. but I had tons of fun taking the losing shots. Seafood Hot Pot at Jin Wah. 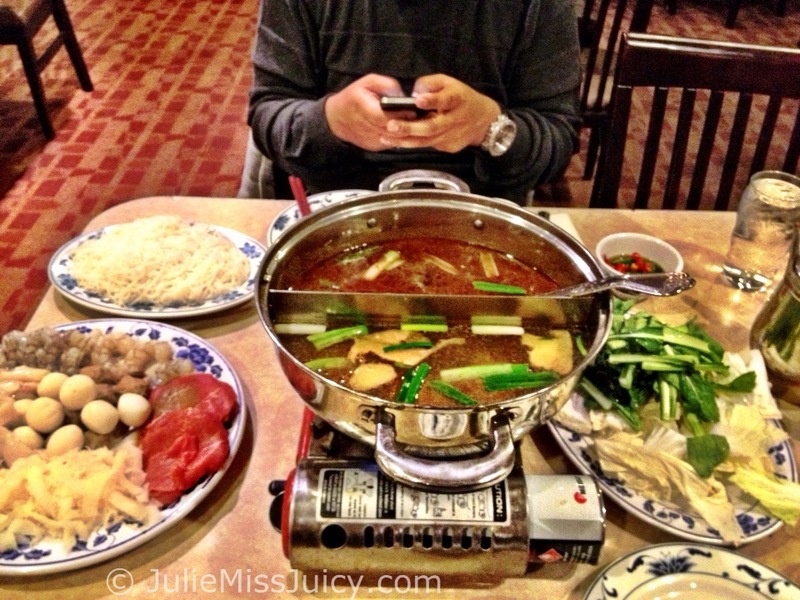 I love the double side Hot Pot because it comes with two different broth. 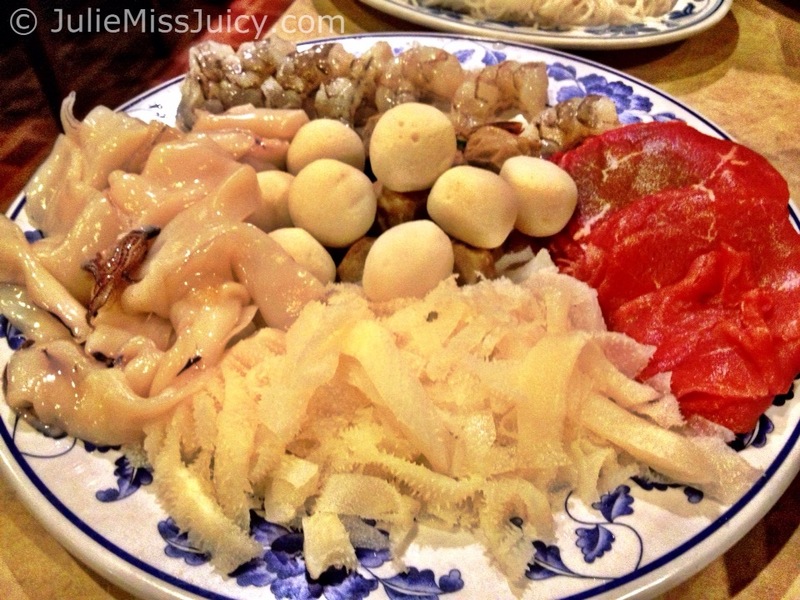 You cook your own food at your table and it comes with a plate of vegetables, Vermicelli noodles, and another plate of raw beef, meatballs, fish balls, shrimp, squid, and beef tripe. You gotta love it! 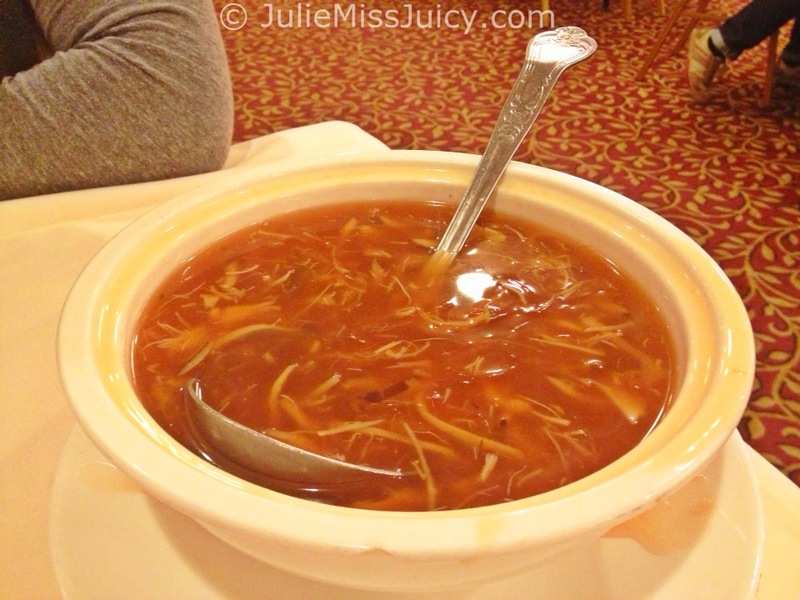 Shark Fin Soup is always a YES in my books! It’s the most expensive soup usually served at weddings, but tonight this is on the menu because we’re celebrating Life! 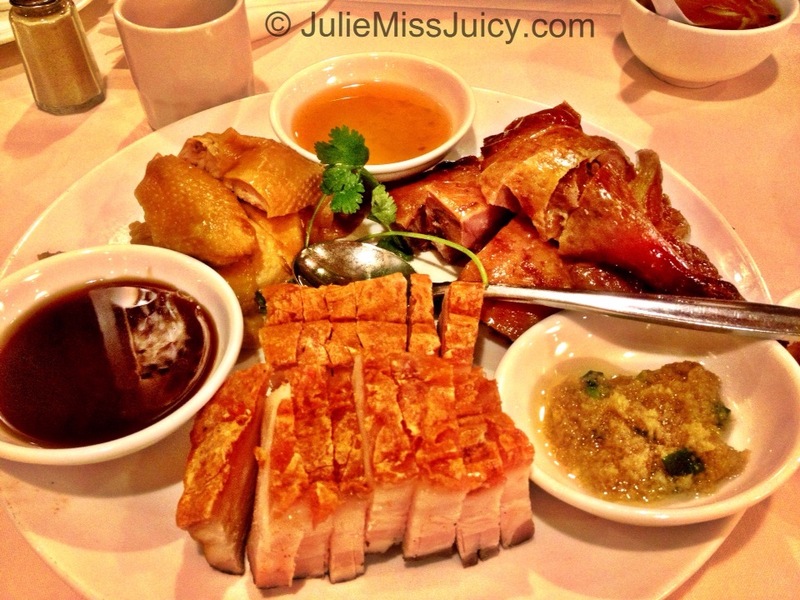 For our next dish we got a choice with 3 meats with dipping sauce. 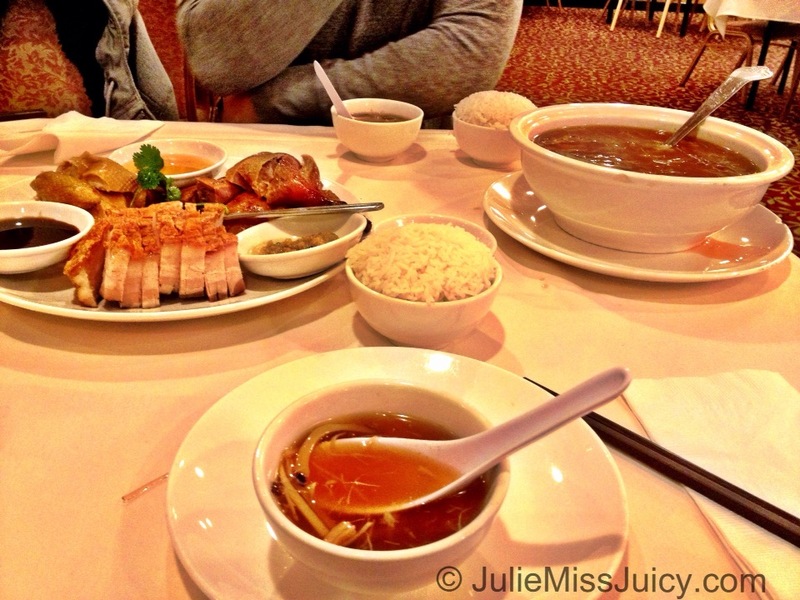 Roast Pig, Roast Duck, and Steam Chicken. 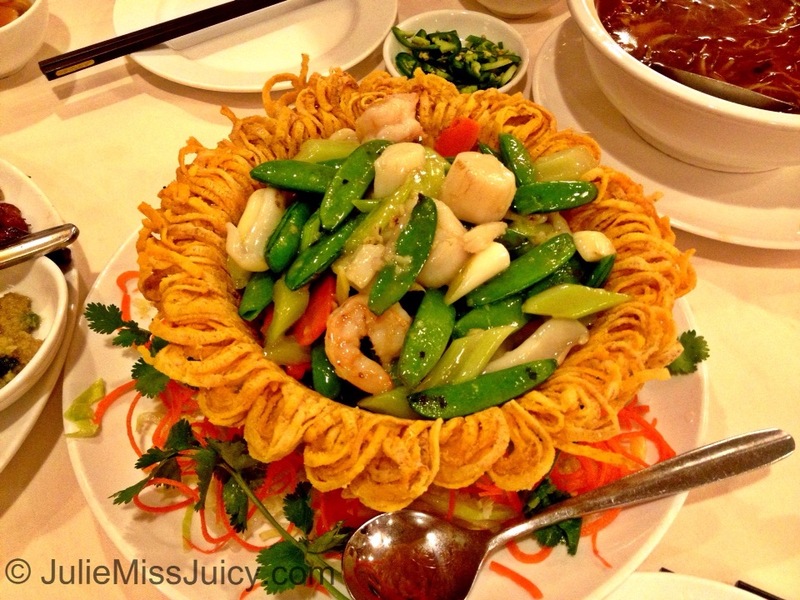 The Seafood Birds Nest is so good! The crunch crispy nest is probably my favorite. The sugar snap peas, shrimp, squid, and scallops were amazing and cooked to perfection. Here I am looking crazy and getting ready for my couples massage at Fubon on 82nd. Thank you for reading and I hope you guys like my picks for my top 5 favorite restaurants in Portland. Now… What should I eat next?